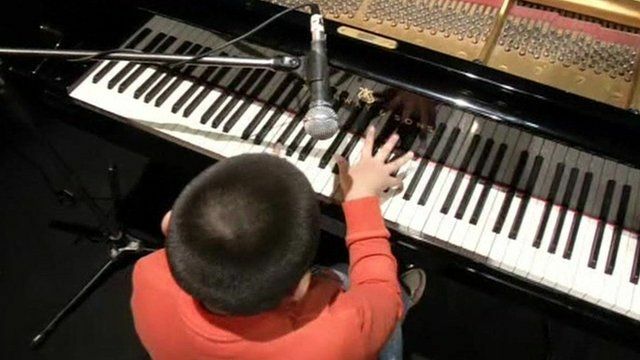 Blind nine-year-old is jazz prodigy Jump to media player A blind jazz musician is wowing South American audiences, despite being only nine-years-old. Was 'child genius' discovery stolen? Jump to media player Amid the internet battle between a schoolgirl and a scientist over a discovery about the lionfish, the BBC talks to a researcher about the "child prodigy" mystique. Playing French horn with no arms Jump to media player Felix Klieser is a professional French horn player who was born with no arms. The blind art of conducting a choir Jump to media player Can blind people be taught to conduct a choir with meaningful gestures that the singers understand? 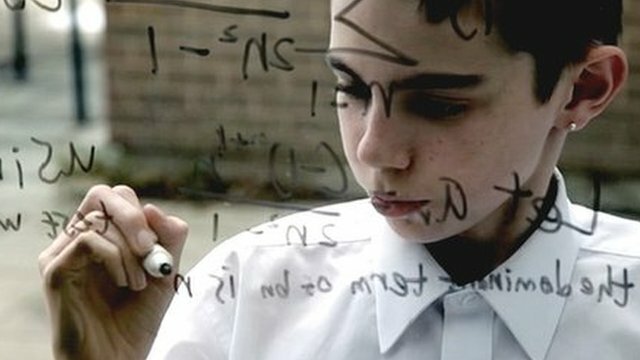 Assessing a 14-year-old maths genius Jump to media player Cameron Thompson, a 14-year-old maths genius, visits Trinity College Cambridge to assess his maths ability. Retrospective show for nine-year-old Jump to media player A nine-year-old artist from Norfolk who shot to international fame two years ago is holding his first retrospective exhibition. A blind jazz musician is wowing audiences in South America, despite being only nine-years-old. Bolivian Jose Andre Montanho could play the drums by the time he was four and quickly moved on to the piano. He has performed across Bolivia, Brazil and Peru and has plans to bring his rare musical talents to more countries in the future. Go to next video: Was 'child genius' discovery stolen?